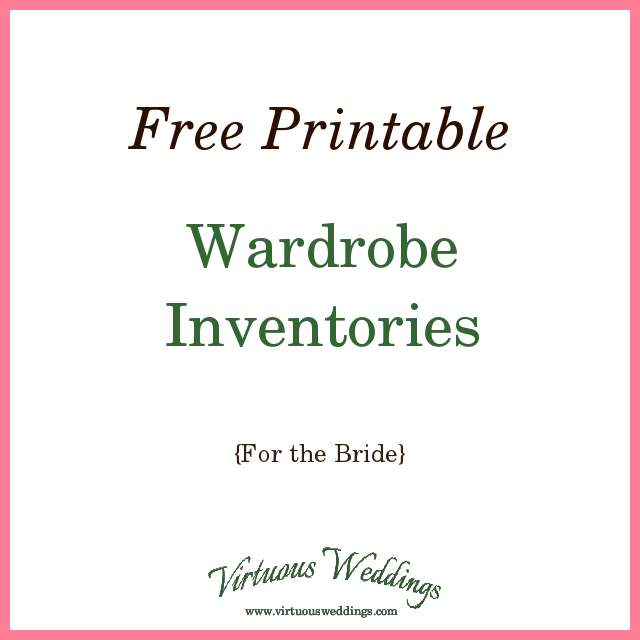 Here are the three for the bride wardrobe inventories from the old site. It’s taken me a while to get them back up. The truth is, I was thinking about updating them. They just seem so plain and not pretty. But, really, it’s the wardrobe that matters, not the inventory!